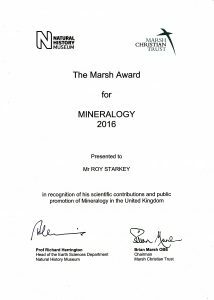 I was honoured to be nominated as the recipient of the Marsh Award for Mineralogy (2016). 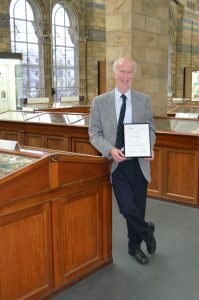 The Award was presented by Brian Marsh OBE, at a ceremony at the Natural History Museum, London on 6 February 2017. 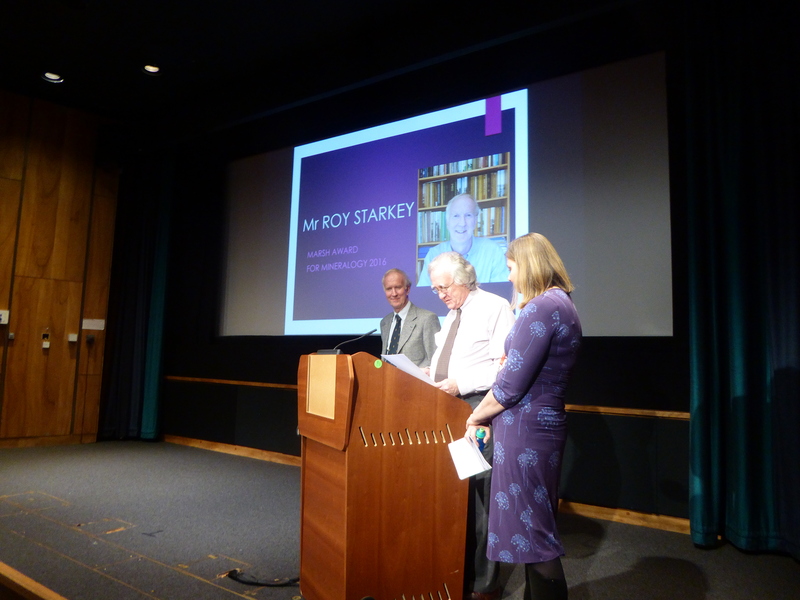 Roy Starkey receiving the Marsh Award for Mineralogy from Brian Marsh OBE in the Flett lecture Theatre, NHM, London. 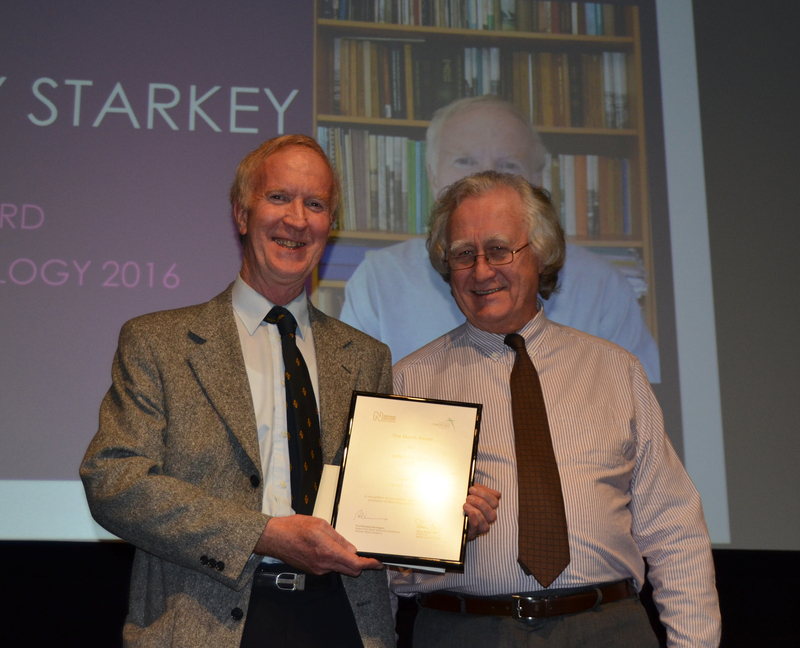 Photo © Mary Starkey. 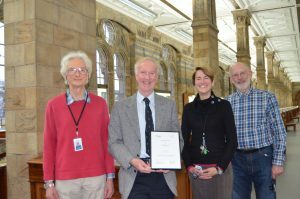 (Left to right) – Austin Woodbridge, Roy Starkey (winner of the Marsh Award for Mineralogy), Robin Hansen of the NHM and.Michael Doel, in the Mineral Gallery at the NHM London. Photo © Mary Starkey. 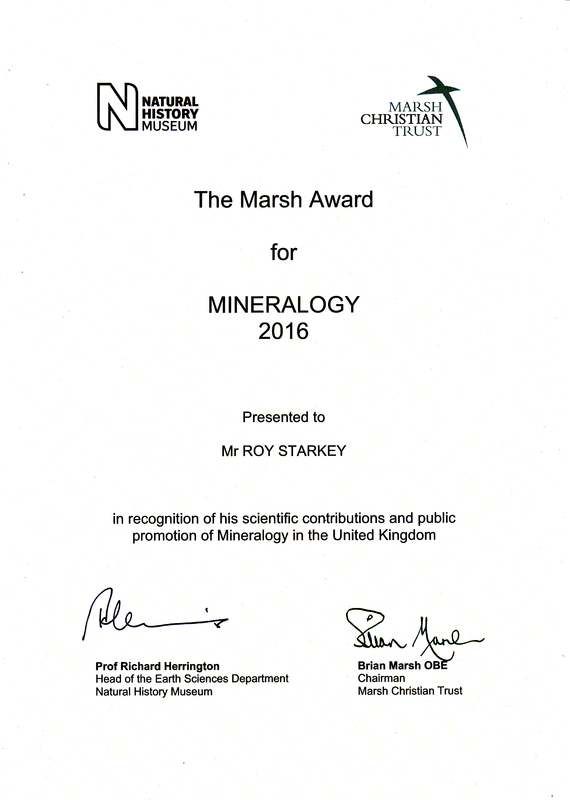 Roy Starkey, winner of the Marsh Award for Mineralogy (2016) in the Mineral Gallery at the NHM, London. Photo © Mary Starkey. Thank you to everyone concerned with my nomination and selection as the winner.